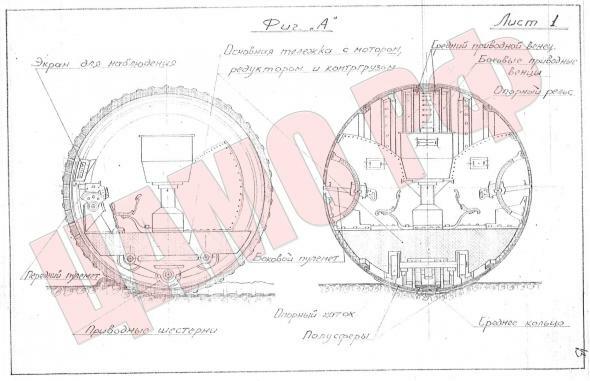 A while ago, I translated an article about Soviet spherical tanks. Obviously (or not that obviously, considering how many hit from Google I got), the ShT-1A and ShT-2T were fakes. 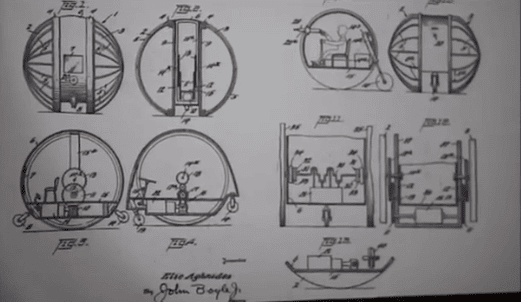 However, enterprising readers have actually clicked through the links and found that the article had blueprints of a spherical tank in it. That's because, while the history of spherical tanks in the article is a fabrication, actual spherical tanks are not. 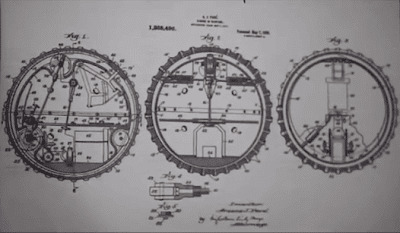 At the beginning of the 20th century, futurists and engineers were hard at work thinking about the shape a fighting machine ought to take. Even the engineers settled on a shape we can all recognize as a "tank" in the 1940s (if you think it all ended at the FT-17, recall the unconventional shapes of the M3 Lee and T-35). People somewhat distanced from organized tank building still came up with exceptionally unconventional solutions. The nature of CAMD RF is that every single document, no matter how insignificant, finds its way into the appropriate section of the archives once it has ran out of usefulness. For design proposals of "limited implementation potential", this was almost instant. 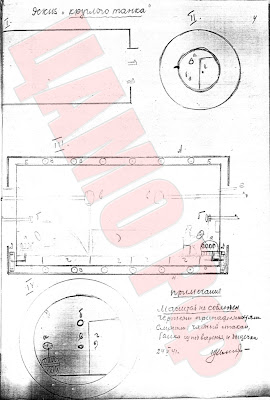 CAMD RF contains a great many proposals for tanks that crawl, tanks that drill, tanks that fly (by catapult! ), tanks that float, and tanks that roll. While I might eventually do an article on all sorts of crazy proposed designs, let's focus on some rolling ones for now. 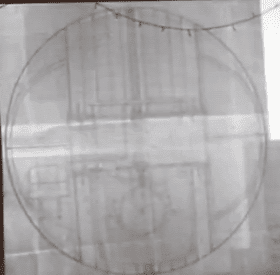 The first actual spherical tank design, from 1917. It had no weapons, and could only combat the enemy by rolling at them, or having the crew shoot through an open hatch after stopping. 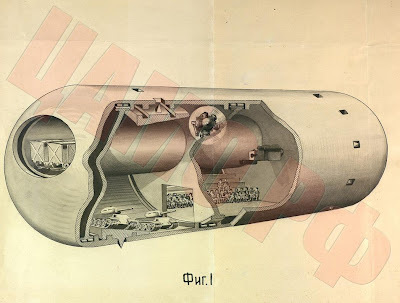 A German somewhat spherical tank project, surprisingly actually built and considered. 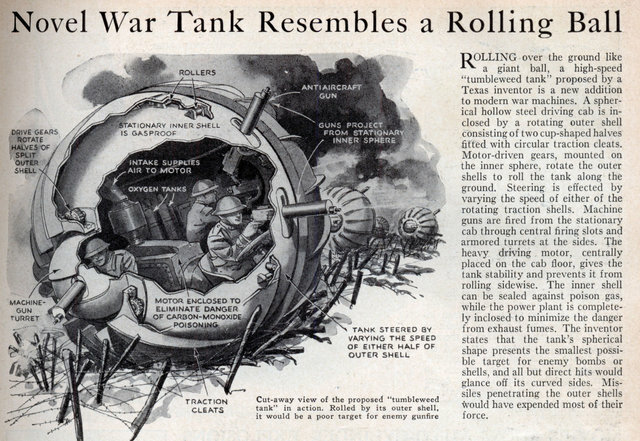 It is also from an era when no one was quite sure how tanks are supposed to look like. 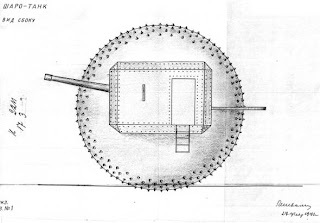 An American spherical tank project. 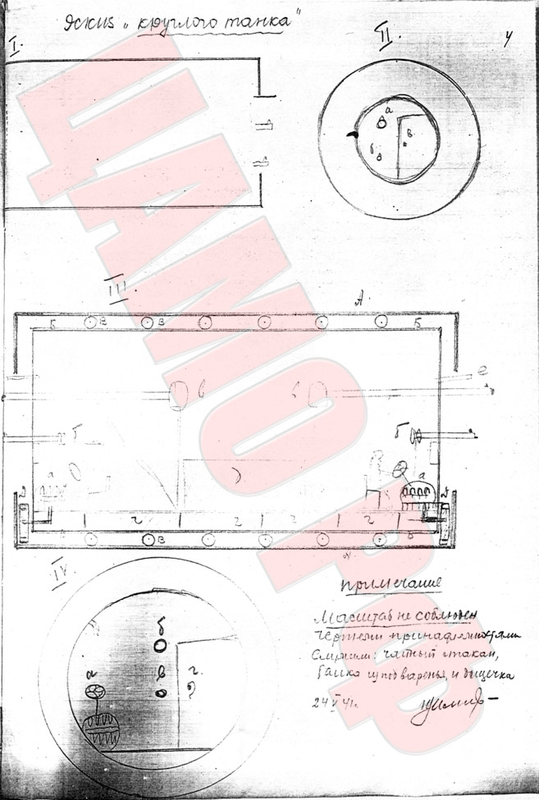 These are the blueprints for the tank pictured on the Popular Science cover above. 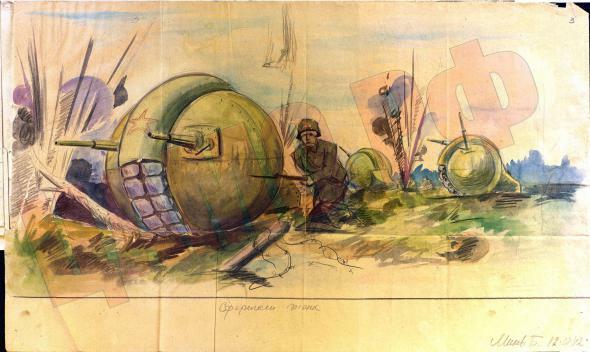 Here is a colourful sketch of what one of the Soviet projects was supposed to look like. This is a pretty decent looking vehicle. It is very small for a tank, and has considerable firepower. Sadly, it is obvious that a tank of this configuration would easily tip over, and roll away. Yet another proposal, with only a machine gun. This one seems to be a lot more thought out. This design gives up any kind of tracks for a spiked, rotating hull. Not only would this be completely unsuitable for any kind of paved roads (or stopping), the size of the door and turret makes it apparent that this tank would be a giant and convenient target for aircraft and artillery. 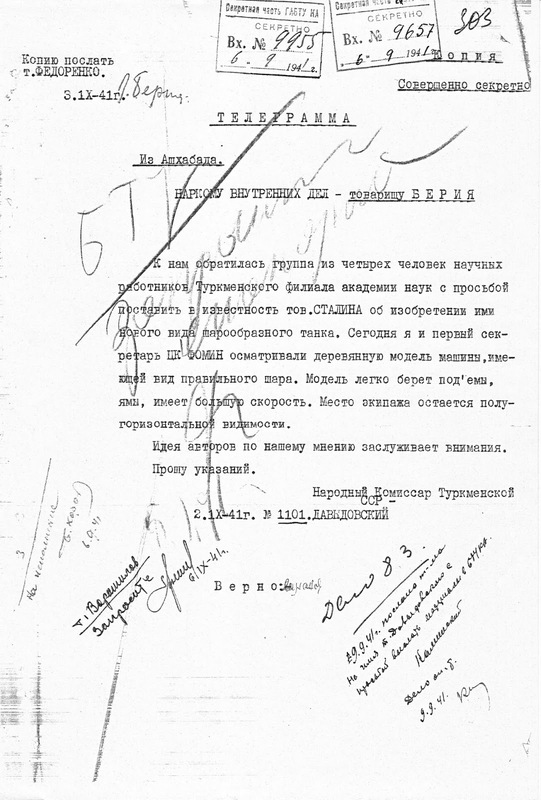 A group of four scientists from the Turkmen Academy of Sciences approached us with a request to inform Comrade Stalin of a spherical tank they invented. Today, the first secretary of the Central Committee Fomin and I saw a model of this tank, shaped like a perfect sphere. The model easily traverses slopes, ditches, and has a high speed. The crew compartment remains stationary. 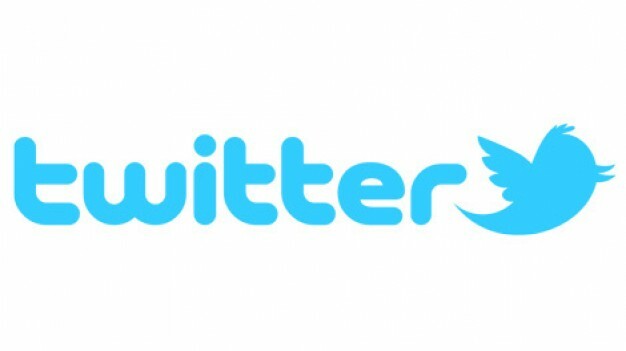 The authors' ideas, in our opinion, deserve evaluation. Please advise. People's Commissar of the Turkmen SSR, Davydovskiy." Looks like Davydovskiy had a higher opinion of the project than any real engineer. Judging by the handwritten notes, the project bounced around a little before getting shelved. 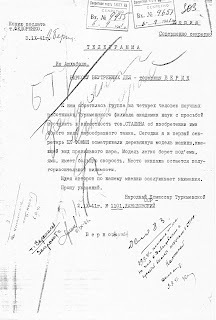 According to Yuri Pasholok, the vehicle was built anyway, but later scrapped. Good traction in deserts and sand (sand is its best road). Can easily traverse swamps, bogs, and can swim a significant distance. Spins in place (like a spinning top). 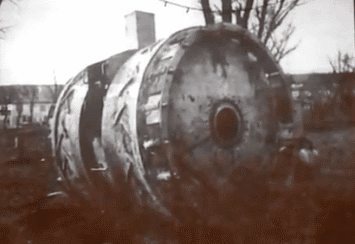 It is a relatively light and voluminous simple object, and can be constructed from railroad fluid tanks. The tank can be made any size, with any armament. I am a simple accountant, and ignorant of blueprints, drawing, etc, so I could not, of course, illustrate everything in the sketch. If you need me to clarify anything, I can, given notice, ride to Moscow or anywhere else. 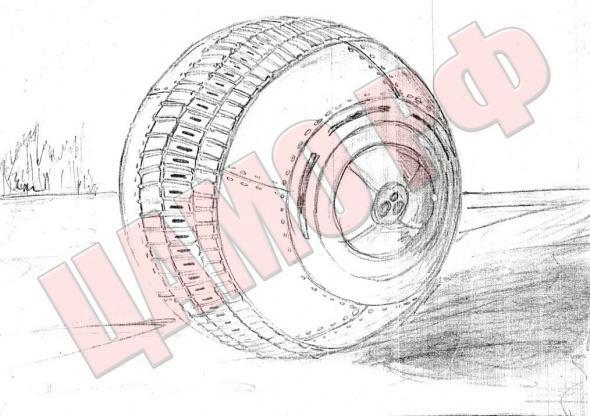 Please instruct whichever Directorate is given this sketch to inform me of its work, as the Department of Inventions of the ArtKom GAU and NKO Invention Bureau, which I have given sketches of a "flying shell" and "flying car", have not graced me with an answer." The note in the corner of the blueprint says "Note: not to scale. All I had for sketching were a glass, a jam jar, and a plank". This next project really cranks it up a notch. Instead of just a tank, it's more of a mobile fortress delivering tanks, men, planes, trains, just by rolling across enemy lines unimpeded. Spherical tanks aren't limited to Europe. 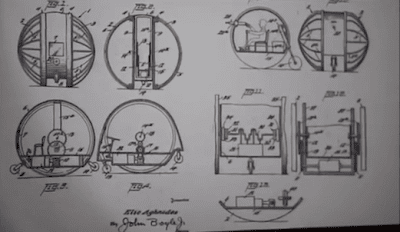 This is an American spherical tank project from 1942. The German "Kugelpanzer" (round tank) is stored in the Kubinka Tank Museum in Russia under the name "Item 37". It weighs 1.8 tons, has 5 mm of armour all around, and no armament. 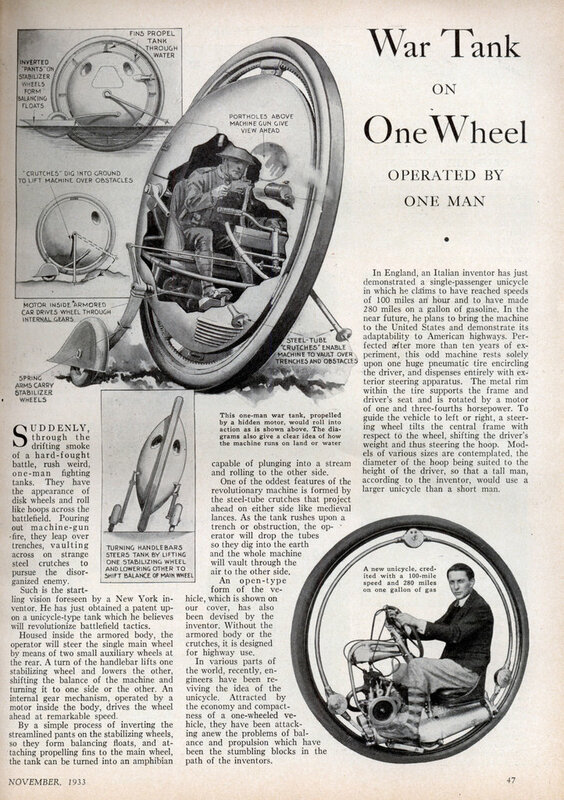 It achieves motion by two circular track mechanisms, with a single stabilizing wheel behind it. It is no coincidence that engineering students are known for running up enormous tabs whenever you go drinking with them. Lmao, how doesit even move and aim its gun on its target? Some of them honestly look kind of cute. 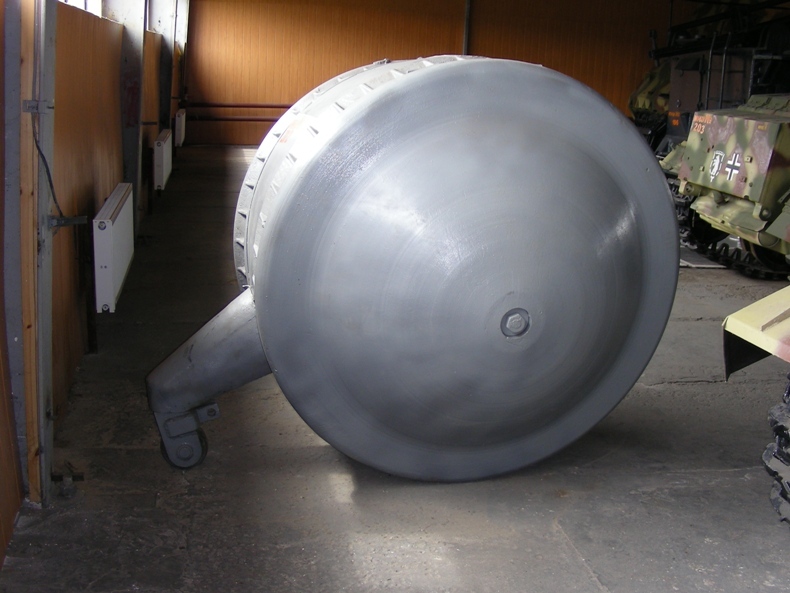 Why are there no photos of KugelPanzer's interior, even though the actual thing is existing? A lot of the tanks at Kubinka have been welded shut and can no longer be opened, unfortunately.